The paths of Israelis and Egyptians have crossed numerous times throughout history, which is understandable given their proximity to each other. The relationship between both countries has been strained at many points as well, and these and other details are revealed in this comparison article. 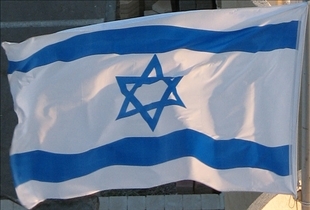 Israelis are the citizens of the state of Israel. Although primarily a Jewish state, Israel is comprised of numerous ethnic groups, so Israelis are actually comprised of people of different backgrounds. Egyptians are the citizens and ethnic group of Mediterranean North Africans that originally hail from Egypt. The largest ethnic group under the Israelis group is the Israeli Jews, followed by Muslim and Christian Arabs. Israelis may also be Druze or Circassians, in addition to other ethnic groups. Many Israelis therefore don't consider nationality as an ethnicity, but rather identify themselves with both their nationalities as well as ancestral roots. Because of its multi-ethnic makeup, Israel is considered a multicultural nation, with numerous traditions and values. As a result of widespread immigration in the late-19th and early-20th centuries, new cultural elements have had a significant impact on local culture. These immigrants mostly came from Europe, although numerous other groups from North Africa, Western Asia, North America, Ethiopia and the Former Soviet Union have migrated to the region as well. In addition, Israelis and people of Israeli descent are also found in the U.S., Canada, the U.K. and many parts of Europe. Most Egyptians relate their identity closely to their geography. Much of Egypt's population is concentrated in the lower Nile Valley, which is a strip of land that stretches from the First Cataract to the Mediterranean. Bordered by deserts on both the east and west, the region's unique geography has played a crucial role in Egyptian society’s development since ancient times. As for the Egyptian language, it is comprised mostly of the local version of Arabic, which is known as Egyptian Arabic or Masri. A large percentage of the population also speaks Sa'idi Arabic, particularly those who reside in Upper Egypt. 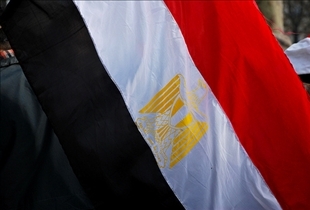 Most Egyptians belong to the Sunni Islam faith, with a small minority being Shia. In addition, there is also a sizable segment that adheres to the native Sufi faith. Finally, many Egyptians belong to the Coptic Orthodox Church. This church’s liturgical language, Coptic, is actually the last of the indigenous Egyptian languages. Both peoples have had an uneasy relationship for thousands of years, and things aren't much better today. Although officially at peace, the relationships between the two groups remain strained, and anti-Semitic sentiments continue to prevail in Egyptian media. In fact, certain United States government documents released by WikiLeaks seem to suggest that Egypt’s military continues to see Israel as a major threat. Which group of citizens is more peaceful?